Everyone, EVERYONE, keeps telling me to start a blog....so here it is. Enjoy! 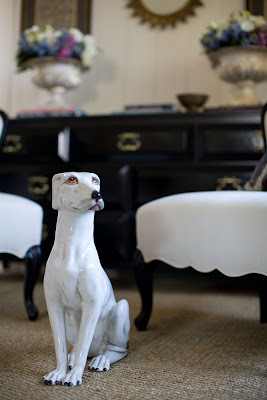 Vintage ceramic whippet, made in Italy. This makes me officially the last person I know not to have a blog. Is the Whipped for sale? He's super cute!! I'm sort of in love with him and don't really want to sell it, but yes, he is for sale. Look for him making a front page debut on the new website!